Creating photo print products on a phone is getting easier and easier. We take a gazillion photos, but do any of them turn into print products? Is creating photo products a relic of the past in the smartphone age? It doesn’t have to be. Why not create photo products using print product apps with the device on which we take most of our pictures—the smartphone? Or is the screen real estate simply too small to do so on our phones? Let’s tackle these questions one by one. Yes, people very much still order creative photo products. In fact, in Suite 48 Analytics’ recent 2018 Photo Print Buying Survey, among 1,066 North American consumers who take more than five photos per month, 69% reported they or their partners have ordered photo print products in the last 12 months. 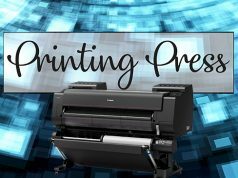 Moreover, under various scenarios (from faster print fulfillment to easier solutions to find photos that are worthwhile to include in print products), the majority of current photo product buyers could see themselves ordering more print products. In addition, previous buyers who stated they or their partners have ordered photo products in the past but not in the last 12 months can also be moved toward purchases under various scenarios. This is also true for a portion of consumers who have never ordered photo print products. A crucial scenario to spur ordering (more) photo products is easier solutions for creating them on a phone. We can assume not everyone is familiar with the various innovative print apps or mobile web solutions on the market. So let’s review a few of them. They all exemplify what’s feasible if the creation of print products is reimagined specifically with today’s smartphone photographers in mind. Here is an example of an app that pioneered ordering photo print products via a smartphone. 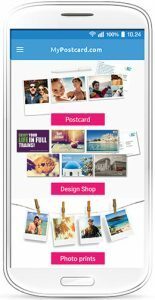 MyPostcard enables users to create postcards that feature one’s photos and have these cards printed as well as sent in the mail to intended recipients. And this can all be done with just a few clicks. Starting at $1.99 for printing and mailing, a double-sided postcard can be sent to any country in the world. For example, MyPostcard lets users send vacation photos from the base of the Eiffel Tower to jealous friends back home. Right there and then, in the moment, and with only a few clicks. If phoneographers want to go fancier and are willing to spend a bit more, the app offers other options. Folded greeting cards and various design templates are also offered. Another photo product that is super easy to create in the spur of the moment is the proven 4×6-inch print. As we found in our survey, the 4×6 is still by far the most-ordered photo print product. There are many, many great apps for doing this, but the one that has drawn a lot of interest ever since it was first launched six years ago is FreePrints. Users get up to 85 free 4×6 prints per month, while shipping & handling is reasonably priced—and spelled out up front. The fees start at $1.99 and are never more than $9.99. How does PlanetArt, the company behind FreePrints, make money? Well, it does generate revenue through shipping and handling fees. However, it also profits from the sale of other size prints and other print products. But how exactly can FreePrints succeed in making money from free prints while other photo product providers who offer free prints have not? There are two reasons, in my opinion. One, FreePrints is totally transparent and upfront in telling consumers what is free and what isn’t. No fine print. Two, it’s the name FreePrints that is worth a thousand (promotional) words. How could you go wrong with that? In addition, two years ago the company launched FreePrints Photobooks. This solution offers one 5×7-inch softcover book of 20 pages per month for free! A higher margin, and increasingly popular, photo print product is photo wall décor. Initially, this category was dominated by canvas prints. But as you know, wall décor products are now also printed on glass, aluminum, acrylic and other materials. 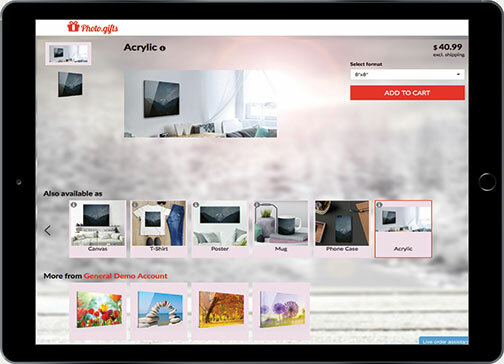 Picanova offers customers, via its facilities in the U.S., Europe and China, the option to create and order wall décor plus various other photo products on its mobile-optimized websites. Websites? Yes, Picanova owns a total of 40 websites that are each branded for and address the specific requirements of different consumer types, regions and use cases. In addition to Photo.gifts, the company’s brands include Monetize.ly, fotofox and Photo.Club, among others. The photo book category is another major high-margin photo product segment. After prints, the photo book category is the second most frequently reported product type ordered in the last 12 months, according to our photo print buying survey. But photo books are inherently more difficult to create on small screens, as they require the selection of multiple photos and placing the selected photos in a multipage layout. Can you really do this on a smartphone? Well, you can. Mixbook’s pioneer Mosaic app showed as early as 2012 that ease of use is feasible for not just creating simple 7-inch square photo books on a phone but also for purchasing the books if the customer is presented with straightforward choices. Many others have followed suit in developing innovative apps that make it a breeze to create and order even the most complex photo books on a smartphone. Acquired by albelli last fall, ReSnap’s AI-powered mobile web app simplifies both the selection of photos and the layout of a photo book. ReSnap selects a user’s most memorable photos, groups the photos that its algorithms identify as being related and removes photos that aren’t worthwhile for a book. These would include images that are of too poor a quality or are too similar. The app then designs the book itself, by applying the optimal layout for a user’s specific photo set. However, the user is given an option to overrule ReSnap’s photo selection and layout choices. The result is a photo book that might feature multiple photos on a single page and could contain different designs for different pages. Again, the book is created through the click of a few buttons. Here is another app that permits consumers to create auto-designed instant photo books that could feature multiple photos per page. PastBook made its name by enabling consumers to create these books from their social media accounts. For instance, PastBook lets users create a photo book of all their Facebook or Instagram photos posted in the last year through a few clicks. 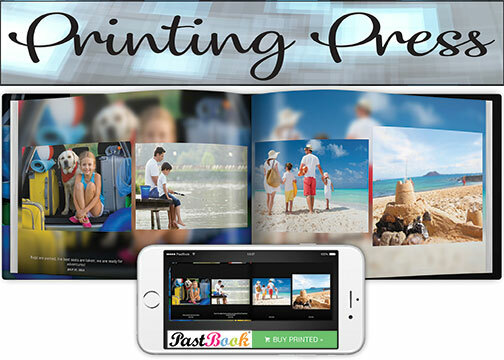 The PastBook app also allows collaborative photo book creation for specific occasions, such as weddings or vacations. This option gives friends and family members the opportunity to upload their photos for inclusion in a photo book. 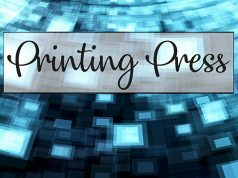 Finally, will print products always be just that, print products? The answer is no. We’re already seeing multiple developers experimenting with AR-enriched photo products by offering the best of two worlds. Consumers can enjoy browsing their printed photo books or the canvas prints hanging on the wall. Moreover, they can also watch a corresponding cool video if they view these print products through a particular smartphone app. 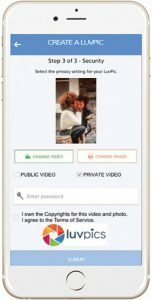 LuvPics lets users create such video-embedded photos by letting them upload a photo as well as the video they’d like to embed. When others view this (digital or a printed) photo through their LuvPics app, they will see that photo come to life as a video superimposed on the corresponding photo. 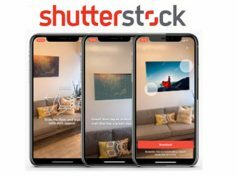 Artificial intelligence (AI) is getting a foothold in mobile solutions for curating photos and designing complex photo products. This includes photo book creation. And we only expect AI-based solutions to proliferate going forward. If nothing else, consumers are going to expect the complexity of creating photo products will be removed. And they look for smart, one-click, solutions. This is already important for creating these products on larger screen devices, such as a computer. However, it is crucial for creating them on a smartphone. Will the smartphone become the device of choice for creating and ordering one’s photo products? Time will tell. At the moment, the majority of consumers still use their computer for doing so, as we found in our survey. In addition, cloud-based photo storage solutions are making it easy to take the images on one’s phone but create the products on one’s computer. More features, more design control and a large screen size compete with the anywhere, anytime and spur-of-a-moment solutions offered on a phone. The future will reveal where that equilibrium will fall once these apps have further matured. However, what’s important is that the move to creation on a smartphone can only increase revenues generated by photo print products. Hans Hartman is chair of the October 22–23, 2018 Visual 1st conference. He is also principal of Suite 48 Analytics. The research firm provides market intelligence for the photo and video industries.